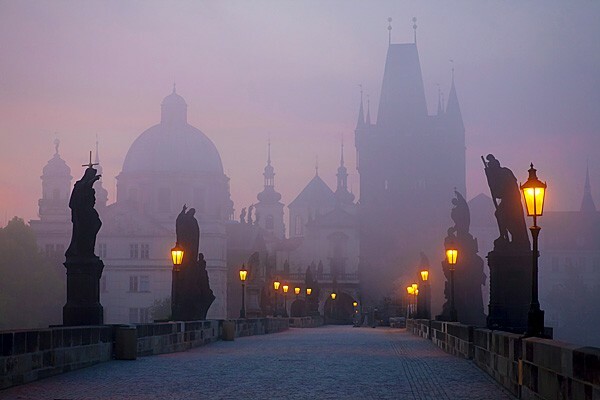 Three decades ago, Prague was no less than a mystery to the travelers in Europe. But now, it is one of the most popular destinations in the world, drawing 4 million visitors every year. 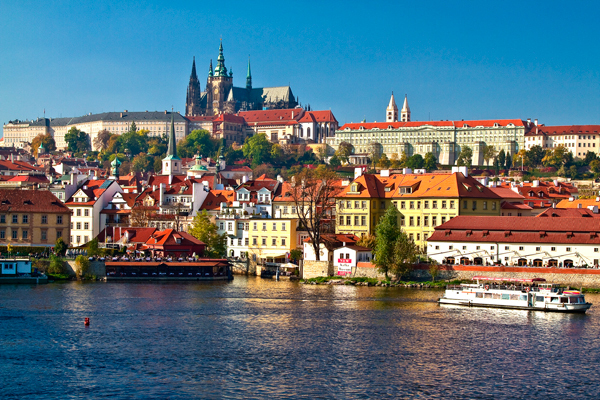 Also nicknamed as the ‘City of a Thousand Spires’, Prague is steeped in history, culture, and beauty. You can enjoy its beauty for days, month and even lifetime. The city is filled with centuries-long history, scores of churches, palaces, parks and scores. Wherever you look, you will find fine examples of Renaissance, Baroque and Art Nouveau styled architecture dotting the city. The narrow lanes of the city open up to spectacular squares, each having beautiful old homes and historic buildings. And how can you forget the local Czech beer and delicious foods. Here is an overview of top ten places to visit in Prague. The Charles Bridge is one of the finest attractions of Prague. It is a 14th-century bridge linking the Old Town to the Lesser Town. King Charles IV commissioned the bridge in 1357. Charles Bridge is truly the center of the city. From here, you can enjoy the fairy tale views of Prague. You will find 30 Baroque statues lining the sides of the pedestrian bridge. People overly crowd the bridge during the day. You will find street artists sketch the portraits of people and musicians play. Try to look out for the jazz band. They are entertaining. If you are looking for fewer crowds, then take a stroll early morning or anytime in the evening. Located between the Charles Bridge and the Wenceslas Square, Old Town Square is a popular attraction of Prague. You will find it bursting with locals and tourists during summer. 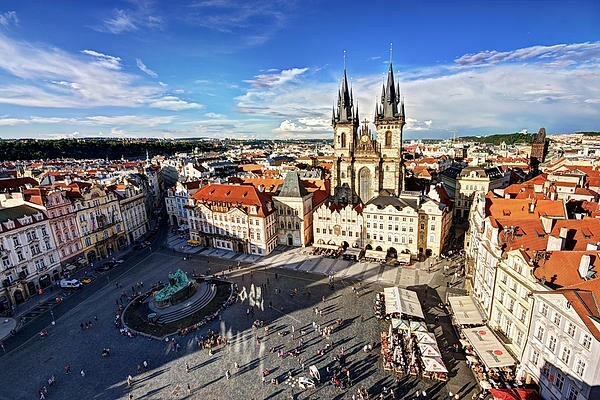 The dramatic history of Prague permeates the air of Old Town Square. 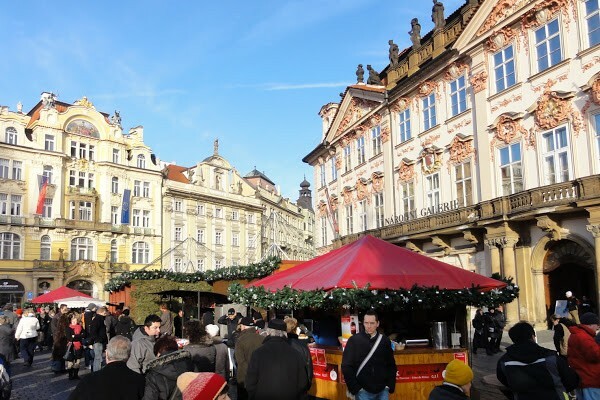 It originally started as a central marketplace for Prague, but over the years, buildings of Baroque, Gothic and Romanesque were erected around the market. The most striking attraction of the square is the tower, which you can get to either by lift or by walking up the ramps. At the center of the Old Town, Square is the Jan Hus Statue that was erected to mark the 500th anniversary of the reformer’s death. If you want to experience the true beauty of Old Town Square, then soak up the atmosphere over a cool beer or coffee at any of the cafes. Towering above the city is the Prague Castle. It was once the home of Bohemia kings, but is now the official residence of the Czech Republic’s President. It is more of a sprawling complex than a single defensive building. The castle consists of a royal palace, three churches, basilicas, a monastery, royal stables, defensive towers and a cathedral. The castle originally began as a wooden fortress in the 9th century, but changed dramatically over the years. By the 11th century, it included royal places and by the 14th century, the St. Vitus Cathedral was introduced. 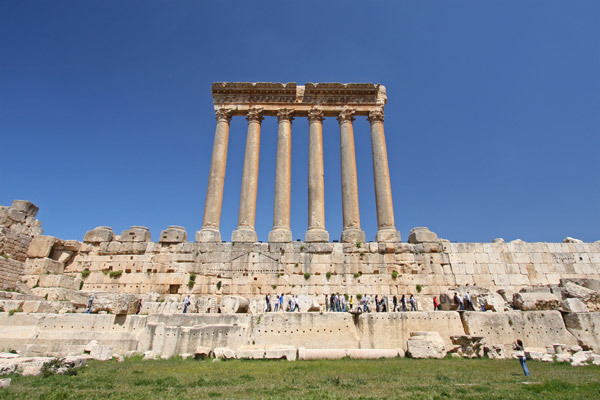 Being the largest ancient castle in the world, this vast complex will require quite a time to tour. But it will be a time well spent. The Dancing House is located alongside the Vltava River in Prague. This stunning building was constructed in 1992. It stands in contrast to the classical buildings surrounding it. It is a modern glass building surrounded by historical architecture. The remarkable structure has both static and dynamic elements. It resembles a female dancer swaying in the arms of her partner. 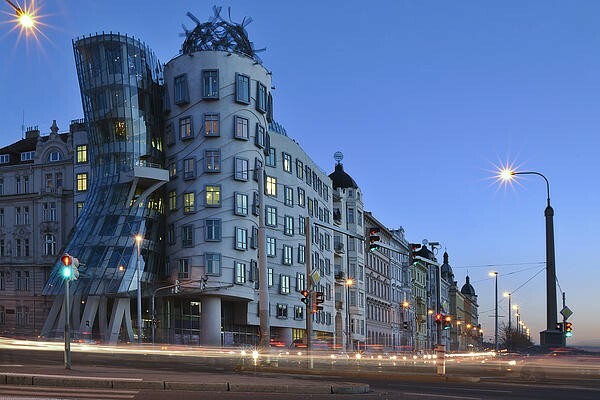 The building consists largely of offices, and only the top floor of the Dancing House is open to the public. Here, you will also find the city’s leading restaurants. You will get a delightful cruising and beautiful views, both over the river. St. Vitus Cathedral, located within the grounds of the Prague Castle, dominates the skyline of Prague. It is the largest and most important Christian church in Prague. It is also the Seat of the Archbishop of Prague. The cathedral has tombs of numerous saints and three Bohemian kings. The cathedral was founded on the site of the Romanesque rotunda in the 10th century. It took more than 525 years to complete the cathedral, which resulted in a mix of Neo-Gothic styles and Gothic styles along with Renaissance and Baroque influences. 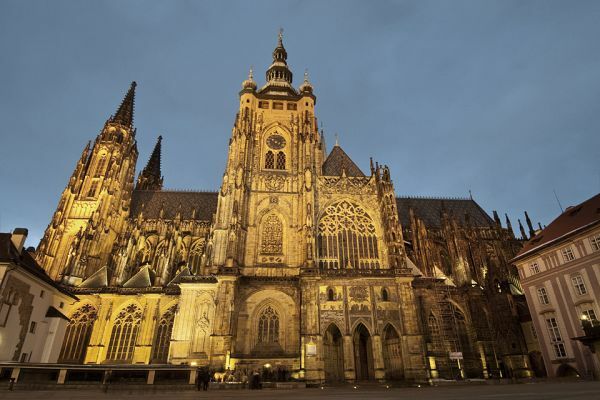 The highlights of the place include a stunning stained glass window depicting the Holy Trinity and the St. Wenceslas Chapel, a spectacular jewel-encrusted altar studded with 1300 precious stones. The National Gallery in Prague houses some of the most important architectural landmarks. The entrance of the museum looks grand with intricate stonework and sweeping staircases. There are also beautiful frescoes on the ceilings. The bulk of the collection is housed in the Veletrzní Palace. While Czech artists dominate the museum, foreign artists like Picasso and Monet works are also included. The notable works of Kinsky Palace are also found in the museum. The Sternberg Palace houses the gallery most famous pieces, focusing European art from the Classical era to the Baroque period and some important Roman and Greek pieces. There are so many historical sites in Prague that visitors do not even consider visiting a zoo. But you must consider visiting this place at least once. The Prague Zoo is the most popular zoo in the whole of the Czech Republic. It is visited by 1.3 million people yearly. 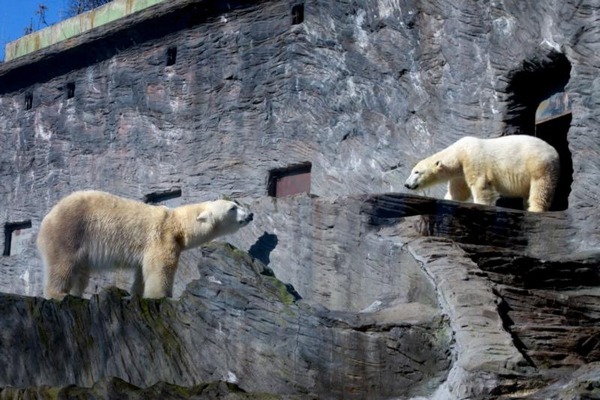 It also ranks among the world’s top 10 zoological parks. The zoo is located a few kilometers outside the city center, but you can easily get here by public transport. The place houses 5000 animals from 650 species organized over 69 hectares. The zoo is notable for saving the native Przewalski’s horse. Over the course of 5 hours, you can visit most the areas of the zoo. The animals are held superbly in the mountain enclosures. If you like frescoes and marble sculptures, then you must visit the St. Nicholas Church. The St. Nicholas Church is one of the Prague’s newer churches. It was built by the Jesuits in the 18th century. The church is a fine example of the High Baroque architecture. The 19th-century chandelier is the star attraction of the church as well as the large Baroque paintings by Karel Skreta, a renowned Czech painter. The church features a bell tower, which offers great views of the city from the top. To get to St. Nicholas Church, you can walk from the Malostranska metro station to reach the church in just seven minutes. The Old New Synagogue is a Jewish quarter located in the Castle district. It is the oldest active synagogue in Europe. 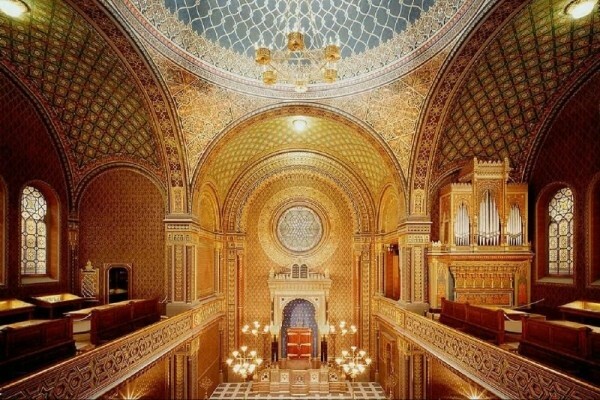 According to the Legends, the stones from the Second Temple in Jerusalem were brought to Prague by the angels to construct the walls of the synagogue. The synagogue was constructed in 1270 was has ever since held divine services. 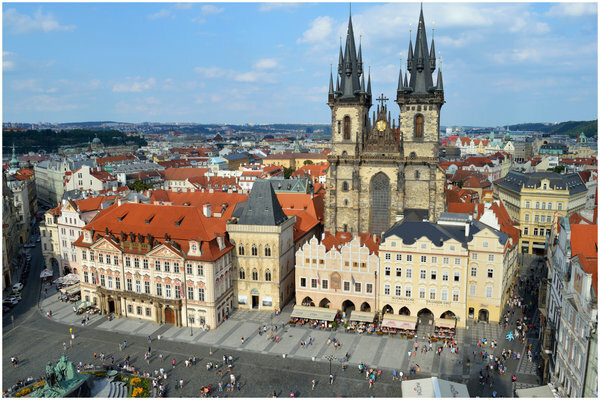 In the Old Square, you will find the church of Our Lady before Tyn Church, one of the most well-known attractions of Prague. The Gothic towers of the church soar 80 meters into the sky. It can be seen from all parts of the city. The site’s original building was an 11th-century Romanesque church built for foreign merchants. The foundation of the present church was laid in the 14th century, although roofs, gables, and towers came years later. Inside the church, you will find works of art in Baroque, Gothic, and Renaissance styles. Prague has hundreds of tourist attractions and honestly, it was difficult narrowing down to just ten. 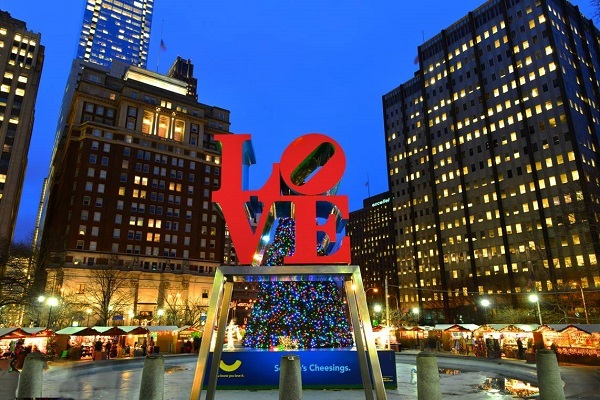 The city is charming at any time of the year. So you can visit it whenever you want to. Hope you find our article useful. Any feedback or suggestions, leave us a comment below.